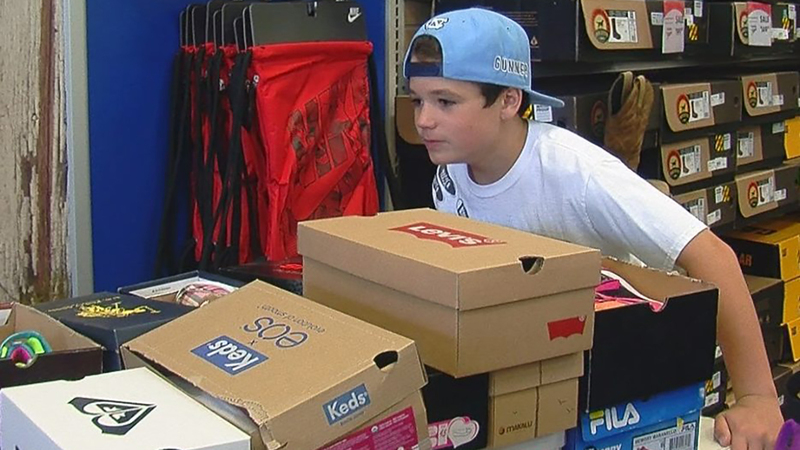 WILMINGTON, N.C. -- A 10-year-old in Wilmington is making a difference in his community one pair of shoes at a time. For three years, Gunner Robinson asked for shoes instead of gifts for his August birthday, WWAY reports. Every pair he's collected goes back to the children in the community who need them for the new school year. He's already given nearly 600 pairs of shoes to kids and doesn't plan to stop anytime soon. "I've always got shoes, like new shoes for school (nice ones), and I want other kids to get them too," Gunner said. His parents said something that started as a small idea has caught on around the community, and they couldn't be more proud. "Words can't even describe how proud we are of him because it was his idea, his doings," Kristi Robinson said. For Gunner, it's not about the recognition. He said he just feels like he's helping someone.